The Sacred Hearts Academy’s drama program will be producing "The Wizard of Oz”, for this fall’s musical, scheduled for performances in November. 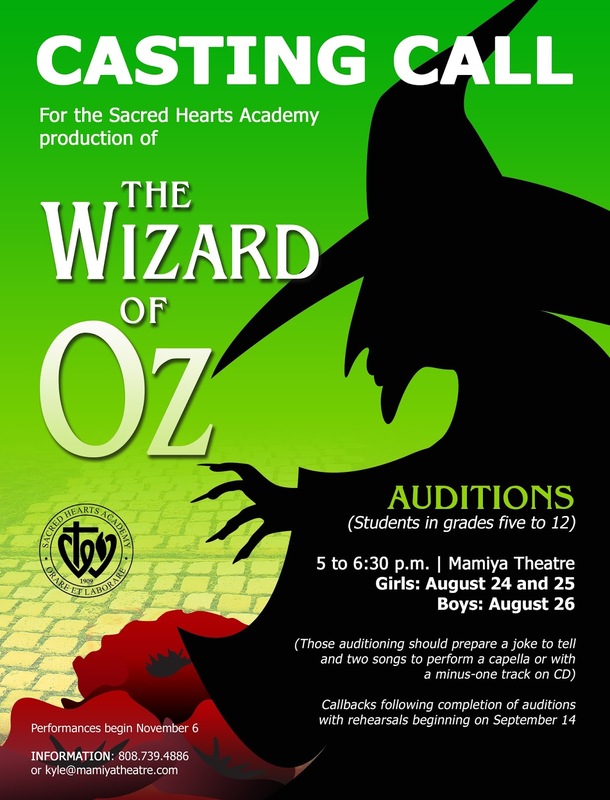 Auditions for "The Wizard of Oz” for Sacred Hearts Academy girls – grades five to 12 will be held at Mamiya Theatre on the Saint Louis School campus on August 24-25 from 5 pm to 630 pm. Students auditioning should prepare to sing two songs, either acapella, or with a minus one track, and tell a joke.